It has a robot call screener, a larger display, and lots of new camera features. 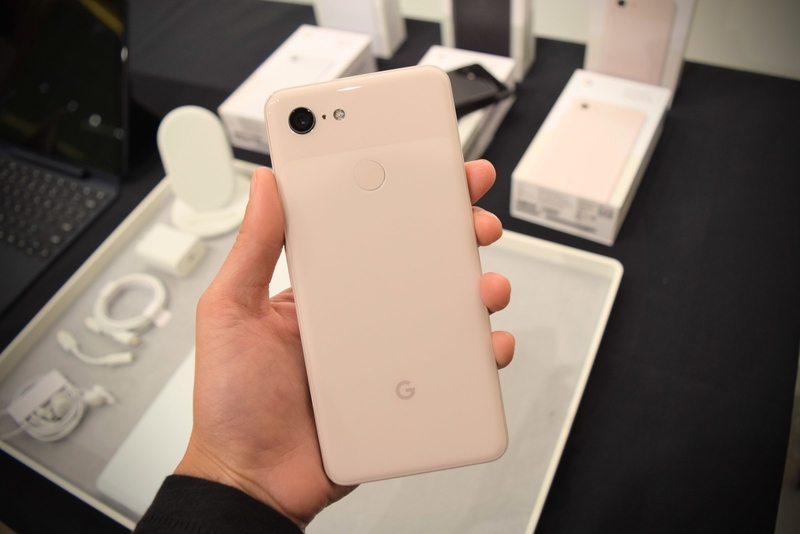 Today, Google is announcing the latest versions of its flagship phone, the Pixel 3 and Pixel 3 XL, at an event in New York. New features include a robot call screener, larger screen sizes, glass backs for wireless charging compatibility, and a bevy of software-enabled photography enhancements. Even if you’re not ready to upgrade your Pixel, there’s good news: Some of the Pixel 3’s features will be available on older Pixel devices. Here’s an in-depth look at the Pixel 3, and everything you need to know if you’re wondering whether the latest Android phone is worth it. The Pixel 3 has a flexible OLED display with curved edges. In your hand, the Pixel 3 and Pixel 3 XL are the same sizes as last year’s Pixel 2 models — but the screens are larger, at 5.5 inches diagonally for the Pixel 3 and 6.3 inches for the XL. The screen reaches farther into the corners for a nearly edge-to-edge experience, and its OLED display is flexible, so it curves around the edges. The smaller Pixel 3 still has black borders on the top and bottom (albeit smaller ones) because according to Mario Queiroz, vice president of Pixel, an edge-to-edge screen “is less important for this consumer, based on what we’ve learned.” Sad day for the small-handed. If you want a truly immersive screen, you’ll have to opt for the big phone. And because Google maximized the Pixel 3 XL’s display real estate, there’s a notch at the top of the screen for the device’s front-facing cameras, sandwiched by status icons. The Pixel 3 starts at $799, and Pixel 3 XL at $899. They can be preordered today and ship on Oct. 18. The phones come in two storage sizes, 64GB and 128GB, and three colors: Just Black, Clearly White, and a new hue, Not Pink. The back of the Pixel 3 is now made of glass to enable wireless charging with Qi-certified chargers. 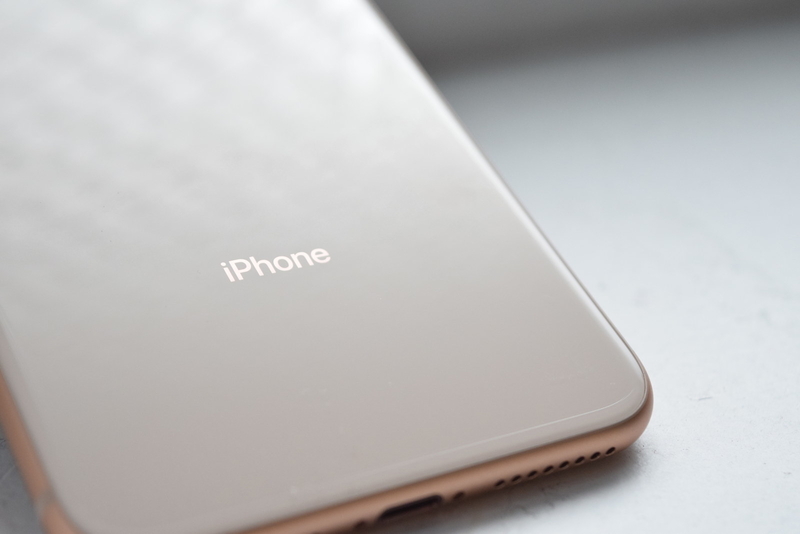 Part of the smooth glass back is textured and feels like a matte, velvety surface, for “gripability” and to hide fingerprints, says Ivy Ross, vice president of design. The Pixel 3’s Sunrise Alarm feature. Google is selling its own wireless charger, called Pixel Stand, for $79. When the Pixel 3 is put on the stand, it goes into a “display assistant” mode and essentially turns the phone into a Google Home, where you can use voice commands to play music, see your calendar, and view photos. iPhones with wireless charging (iPhone 8 and newer) can be charged on the Pixel Stand, too. In the Stand, “OK, Google, bedtime” sets your morning alarms and turns the Pixel 3 into a white noise machine. For waking up, there’s a “Sunrise Alarm” feature available in Pixel Stand mode, where the display brightens with warm sunrise colors gradually, before your morning alarm goes off. The Pixel 3 doesn’t have a headphone jack, but it does come with USB-C earbuds. Previous Pixel models didn’t come with earbuds — just a USB-C to 3.5-mm audio adapter for wired headphones. The Pixel 3 will, however, ship with wired USB-C buds, as well as a second-generation audio adapter that uses less energy. Many of the Pixel 3’s upgrades are software-based. Looking to upgrade? The main thing to note: Besides a few hardware additions, the phones’ key new features are machine learning– and artificial intelligence–powered software refinements. For example, the phone’s two front-facing speakers reduce distortion at louder volumes, thanks to software work by Pixel engineers. You can also now activate Google Lens right from the phone’s camera app. Lens can translate words from menus, save phone numbers from business cards to your address book, and add events to your calendar from a concert poster. There are features to help you put down your phone, too. Digital Wellbeing, introduced at this year’s Google I/O conference, will show you how much time you actually spend on different apps, and can set timers to restrict your app usage. Wind Down turns your phone to black and white to make it less appealing, and “Shh” is a gesture where you can flip your phone face down to automatically put it in Do Not Disturb mode. Flipping it back over turns off Do Not Disturb mode. These Wellbeing features will eventually come to other Pixels, too. One of the Pixel 3’s most mind-boggling new features is called Call Screen. The good news? It’s (eventually) coming to older Pixels too. The Pixel 3’s Call Screen feature. To help you avoid calls from scammers, Google is adding Call Screen to the Pixel, a new option that appears when you receive a phone call. Whenever someone calls you, you can tap a “Screen call” button, and a robot voice will pick up. “The person you’re calling is using a screening service and will get a copy of this conversation. Go ahead and say your name and why you’re calling,” the Google bot will say. As the caller responds, the digital assistant will transcribe the caller’s message for you. If you need more information, you can use one of the feature’s canned responses, which include “Tell me more” and “Who is this?” There are also buttons to either pick up or hang up the call, so you can accept or reject it at any time. Call Screen will be available on the Pixel 3 when it ships, and the feature will be available on other Pixels “soon thereafter,” according to a Google spokesperson. Call screen is an extension of Duplex, an experimental robot calling assistant feature. Google announced today that Pixel users will be the first to try Duplex later this year. Duplex is a wild technology that uses artificial intelligence — and a very convincing, humanlike robot voice — to perform phone tasks, like calling a restaurant to book a table or making an appointment at a hair salon. After some concern that perhaps businesses might not want to interface with a robot, Google said that it will disclose at the start of calls that an automated system is speaking, and call recipients can opt out if they want. All Pixels (1, 2, and 3) will receive Duplex at the same time later this year. For now, Duplex will only be available in New York, Atlanta, Phoenix, and San Francisco, but will roll out to other cities in the future. 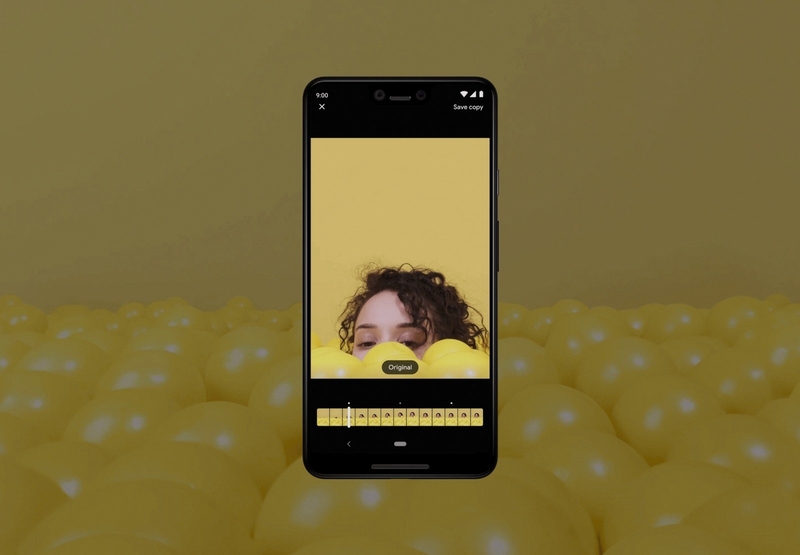 The Pixel 3 is getting new camera capabilities, too. Nearly every “premium” (read: expensive) phone on the market has a camera with two lenses, including the iPhone XS, iPhone 8 Plus, and Samsung Galaxy S9+. In a typical dual-lens setup, one lens is a normal, wide-angle lens, and the other is telephoto lens, for close-ups and zoomed-in photos. 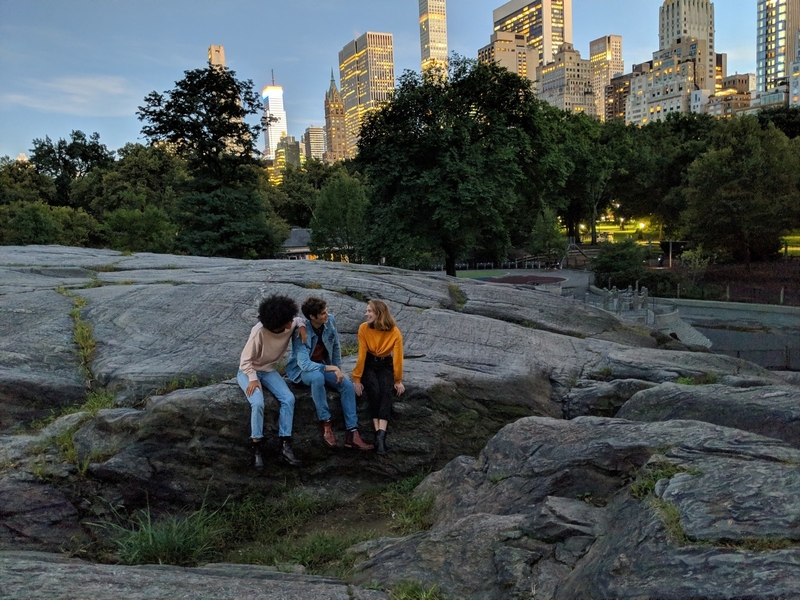 The Pixel 3 is different: It only has one wide-angle lens in the rear camera. Super Res Zoom is Google’s software that aims to make up for the missing telephoto lens. The machine learning–powered feature makes photos taken with digital zoom look better. Typically, photos taken with optical zoom are higher resolution, while digitally zoomed photos look grainy and blurry. Here’s how it works: Whenever you take a photo, your hand is never perfectly still. It moves ever so slightly. Super Res Zoom uses those hand vibrations to capture the image from slightly different angles to get more information from that scene. Those angles are used to make digitally zoomed-in photos appear more detailed and higher resolution. 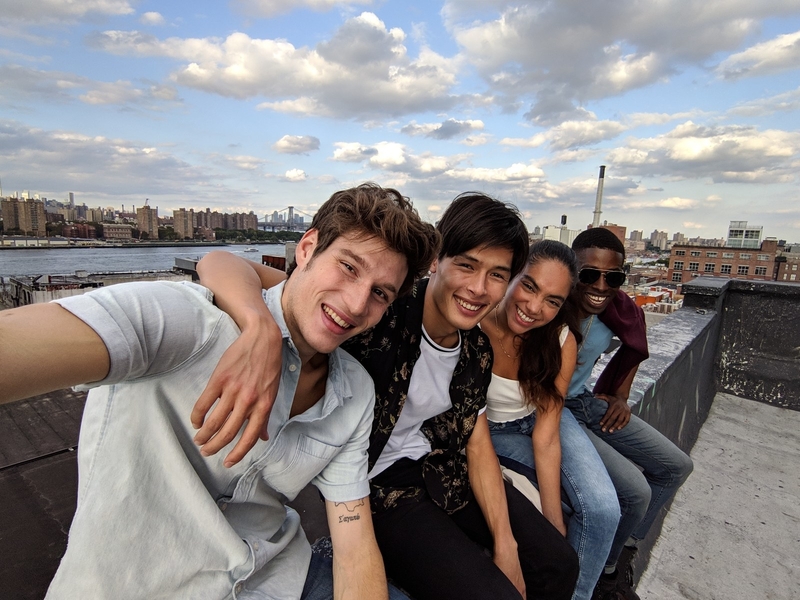 Super Res Zoom on the Pixel 3. But, bizarrely, the front-facing camera does have two lenses now. One is the normal 8-megapixel camera you’d expect, and the other is a wide-angle, GoPro-style lens with a 97-degree field of view (instead of 76 degrees in the normal lens). 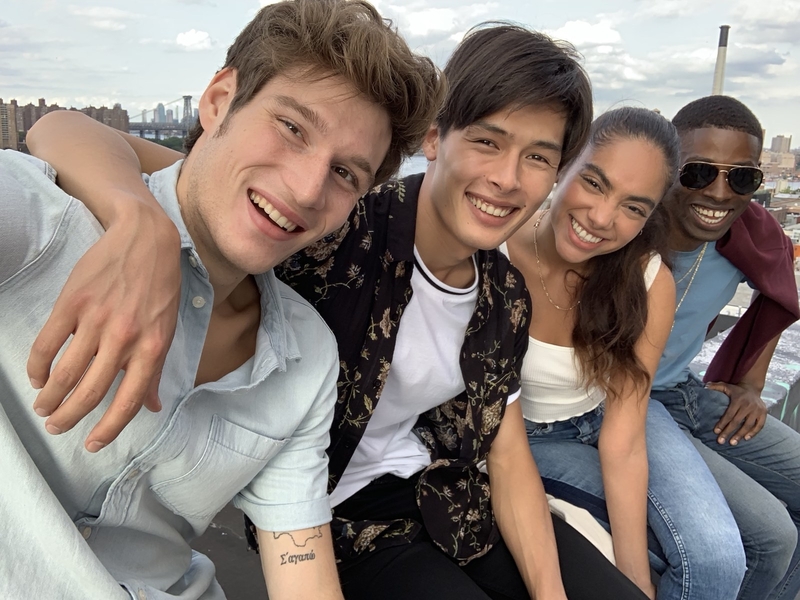 The wide-angle lens is intended to show more of a scene’s background and subjects in group selfies. You can use the zoom adjuster to switch between wide and normal lenses. 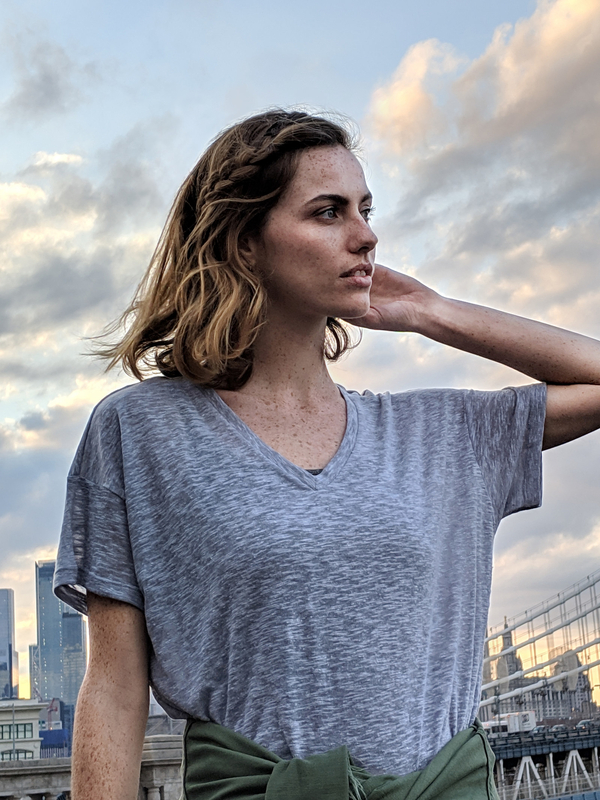 The Pixel 3’s normal (left) versus wide-angle (right) front-facing camera lenses. Top Shot analyzes the content and quality of photos (like whether or not the subject is looking at the camera) and recommends a shot based on that assessment. Photobooth is another addition. It incorporates the same technology that’s the foundation for Google Clips, a device you’ve probably never heard of that launched last year. 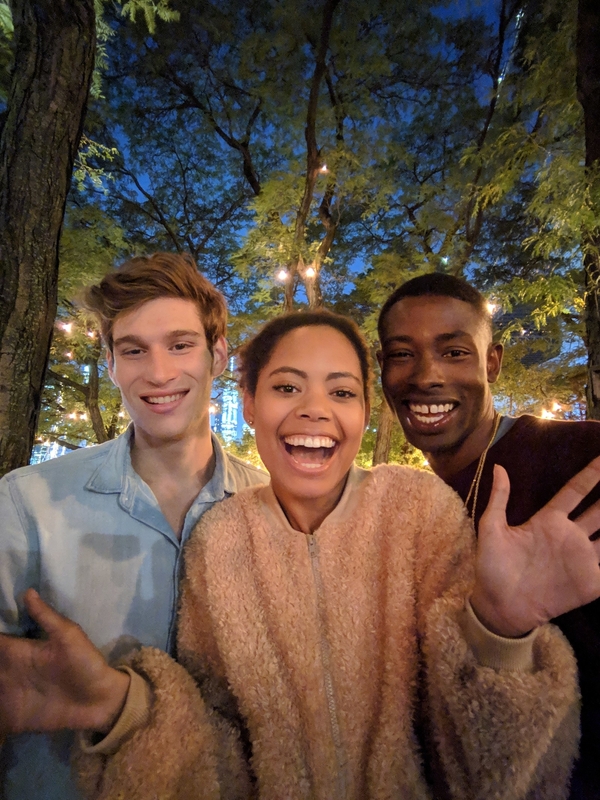 When you turn on this feature, the Pixel uses artificial intelligence to detect when people are looking at the camera and/or smiling, and will automatically snap the shutter if so. Motion Auto Focus is a new feature designed for fast-moving subjects. If, for example, a pet or small human isn’t sitting still, you can tap on the subject and the camera will adjust its focus as they move, so you’re less likely to get a blurry photo. 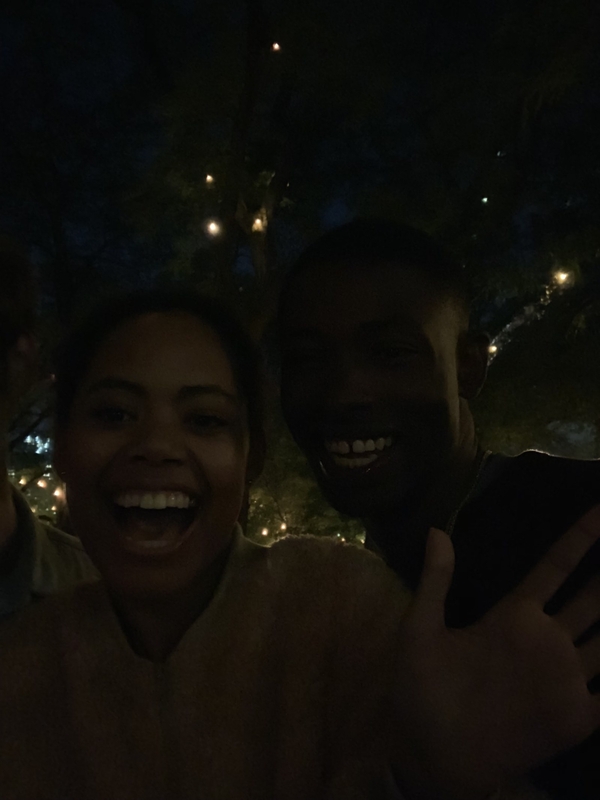 Google has always touted the Pixel camera’s low-light capabilities. 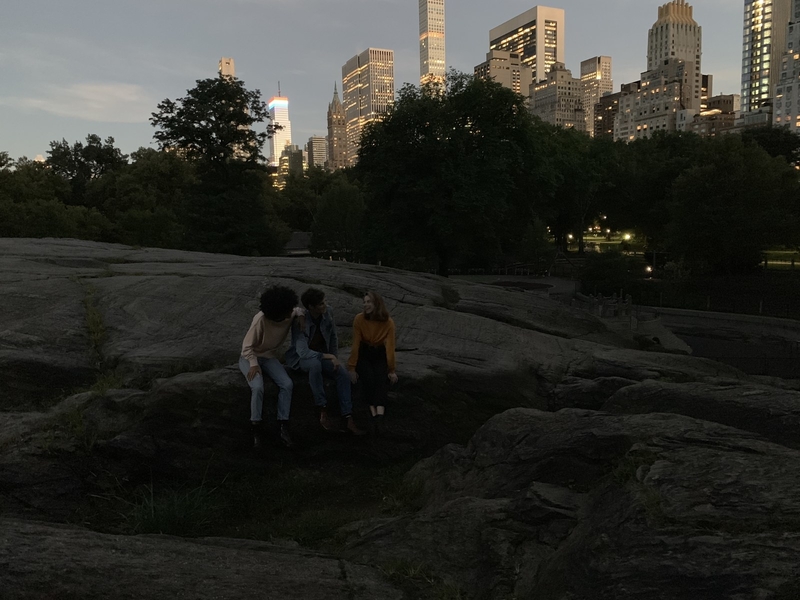 While the Pixel 3 has the same f/1.8 aperture as its predecessor, a new feature, called Night Sight, digitally brightens dark scenes even more. Night Sight won’t be available immediately. Google says it’ll roll out sometime later this year. Examples of images before and after Night Sight editing. A lot of Pixel features are the same in this third-generation phone. The Pixel’s battery can still get seven hours of life with a 15-minute charge. 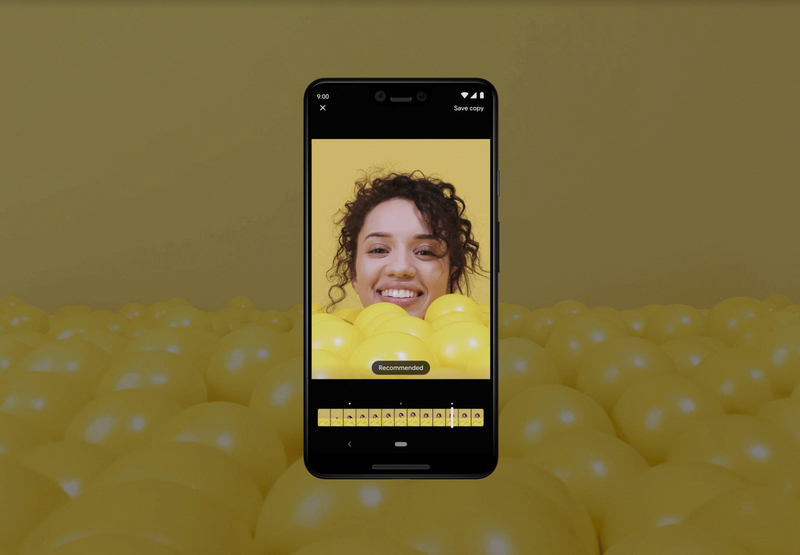 The phone’s killer feature — free, full-resolution photo backup in Google Photos — also comes with the Pixel 3. You can squeeze the sides to activate Google Assistant. The device’s water and dust resistance has been upgraded slightly, from IP67 to IP68. The new Pixel 3 won’t feel leaps and bounds different from the Pixel 2. The screen may feel a bit larger and the camera is a bit more feature-rich, but you may not see a dramatic difference between the third-generation and second-generation Pixel. Stay tuned for our full review to see if the new Pixel 3 is worth the upgrade.